Be open between the hours of 6pm to 10pm. If you need shorter hours, please post the hours you will be open, so the public can plan, who they will visit first. Within the radiance for easy walking from one venue to the next. Rotate Artist – At least every 2 Months. 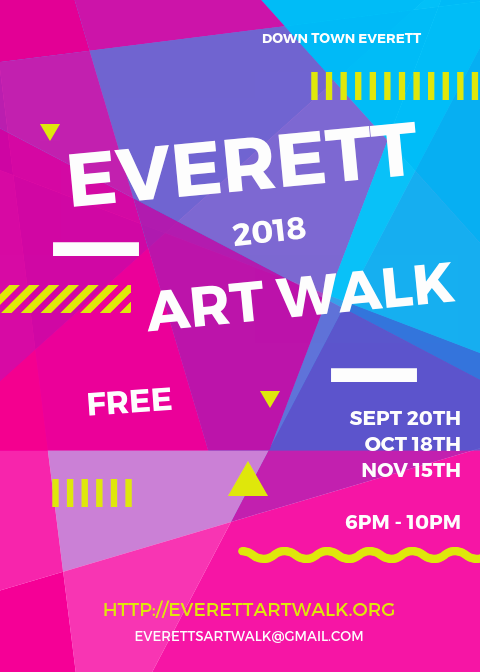 Advertise Everett Art Walk – Press release about Featured Artist including bio, photos, etc. And time Venue is open and any specials being offered. Signage – Post a poster or sign the day before and day of Everett Art Walk.